Note of interest: This kit has a frame with branches and vines growing out of it. It has a full moon, a skull and a quickpage. 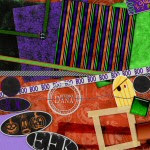 Check out the stapled/stitched ribbons...they are fab! Check out the web overlay on this baby! Love the patches and creepy sayings; it also comes with an alpha. Hurry, it is on sale but the reduced price won't last long! 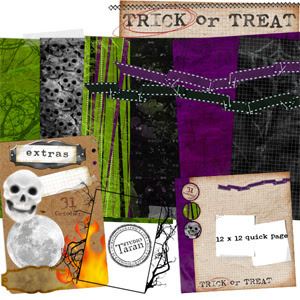 Oh my, have you seen the latest Halloween kits to hit the stores...they are fab! I can't wait for my kids to get dressed for Halloween...I got my stash ready to go. 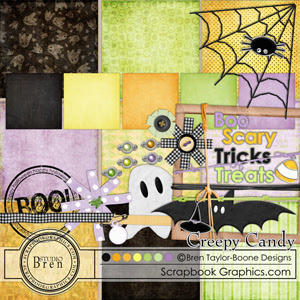 So, without further ado, I share with you my pick of must have Halloween kits.